Description: This hard working little utility knife by Mel Fassio will fit in your hand like it was made for you! 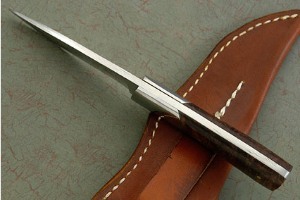 The satin finished blade is formed from 440C stainless steel. 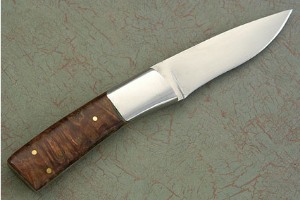 416 stainless steel bolsters are dovetailed to the stabilized maple burl handle. 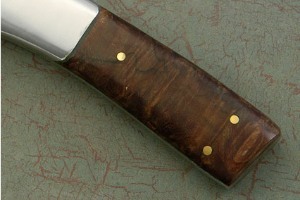 Brass pins hold the handle scales securely in place and nicely finish out the handle. 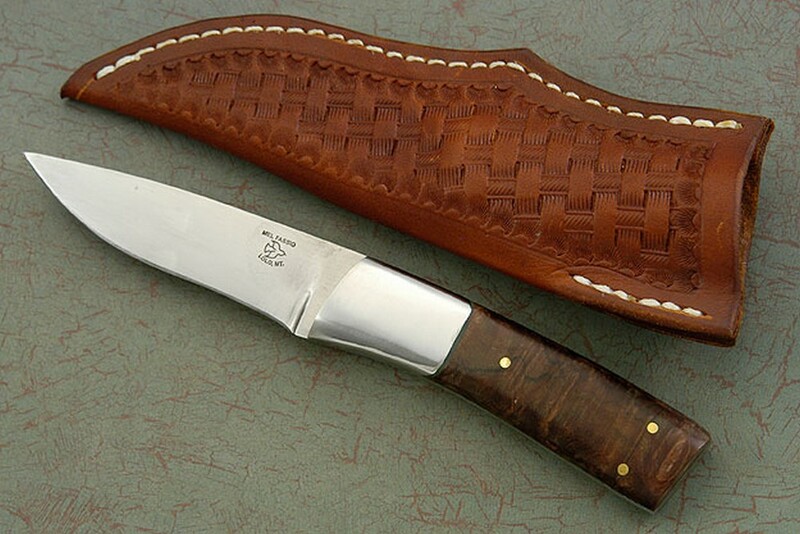 Accompanied by a tooled pouch style leather sheath.